India is famous for is its festivals. Regardless of which Indian city you reside in, you are bound to be overtaken by the festive enthusiasm of these celebrations. With these festivities, decorating your home becomes a natural extension, and each festival has its unique requirements. 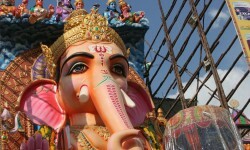 One such festival is Ganesh Chaturthi, which celebrates the birth of Lord Ganesha. The festival is celebrated across the country, but the enthusiasm is way higher in homes in Maharashtra, especially Mumbai. 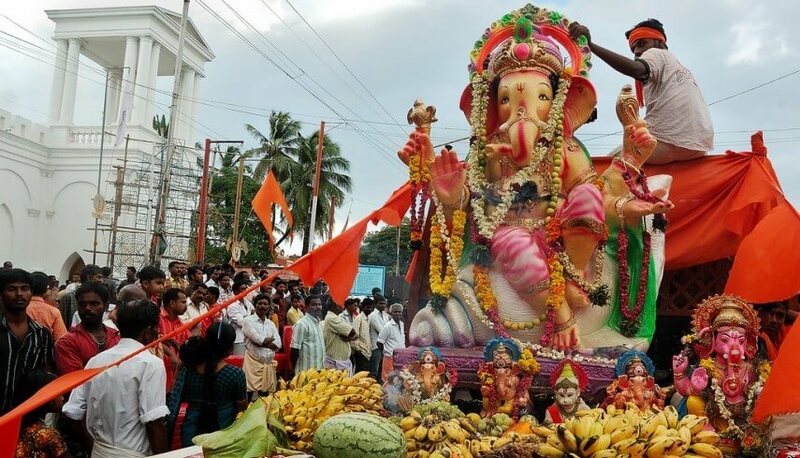 So, if you are bringing 'Bappa' to your home this year, you can let the enthusiasm show with these Ganesh festival decoration ideas. To have a positive vibe around, discard all old items and give your home a thorough clean up. While selecting a Lord Ganesha idol, pick the one with gold ornaments, bright-coloured clothes and accessories. Use bright golden or beaded necklaces, bangles and earrings to accessorise the idol. Colourful pearls can also be used. If you are using a puja room, you can give the walls a fresh coat of paint to make the space look bright and festive. You can use flowers to decorate your home. Use garlands made out of flowers. But while using fresh flowers, ensure to change them on a daily basis. You can also go for artificial flowers. Use bells, confetti and balloons to decorate the puja room. You may also find new decorative items such as Chinese lantern-like balloons in the market these days that can be used as hangings. A festival is all about prosperity and abundance. So, light-up your home, the balconies and windows with lighting strings. You could also use multi-coloured lights in the different shapes. 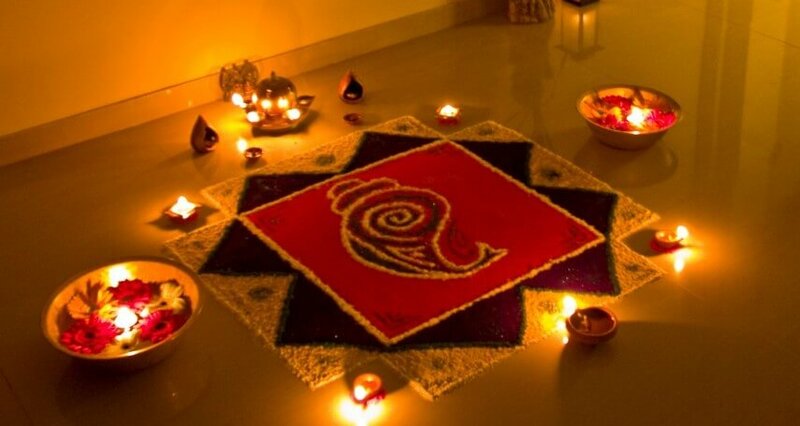 Most Indian festival decoration ideas include the making of rangoli at the entrance of the home or puja room. 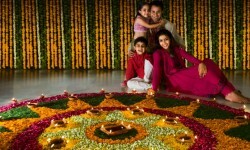 You can design a rangoli, using flowers or colours. Floating candles and small oil lamps (diyas) can also be lit at night for an ethereal feel. One of the auspicious ways to welcome the deity is by making a paste of ghee (clarified butter) and roli (red kumkum powder) and using it to draw religious symbols on the wall of the puja room. Do not forget to decorate the puja thali (plate used for aarti) with flowers, and roli. Lord Ganesha is famous for his fondness for laddus or modak and sweets. So, having an assortment of Indian sweets in a well-presented platter would be a good idea. Devotees can enjoy the sweets in the form of prasad later on.